In part one of this two part interview, Phil Hellmuth discusses how poker burst onto the main stage with movie stars, Sports Illustrated, ESPN, and all the major TV networks getting into the mix. He delves into personal branding and staying competitive in an ever evolving game. For nearly three decades, Phil Hellmuth has been making final tables and collecting tournament titles. His over $18 million in tournament earnings include having claimed a record 13 World Series of Poker bracelets, with both a WSOP Main Event title (1989) and a WSOP Europe Main Event title (2012) among them. 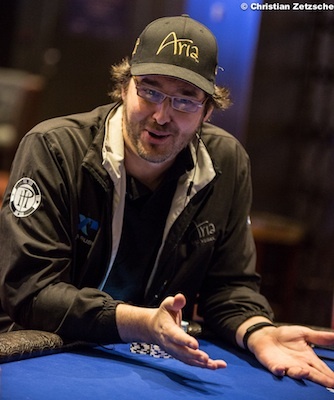 Last week I had the opportunity to talk with Hellmuth about a variety of topics including the evolution of poker over the course of his long career, his contribution to the new book Excelling at No-Limit Hold'em (due out in June), the "Poker Brat" persona, and his reputation as a player prone to tilting. Hellmuth also opened up to talk about tournament strategy, mixing up playing styles, reading opponents, and more. In this first of two parts, Hellmuth addresses how tournament poker has changed over the course of his career and how he has adapted along the way. Tomorrow's Part 2 covers how he got involved with Excelling at No-Limit Hold'em and the chapter he's written, his image and how it affects strategic decisions at the tables, thoughts related to the upcoming WSOP, and other current and future plans. PokerNews: You've been in the poker world for a long time. Before we talk about strategy, have you been surprised at the growth of no-limit hold'em over the course of your career? Phil Hellmuth: In 1995-96 I watched bowling and they were playing for $10,000 for first or something and it had pretty good ratings. I remember thinking then that poker is going to be so much bigger than bowling. So I was expecting it because we have a great game that anybody can play. I mean, bowling takes real time and effort, and our game really takes five minutes to learn so I was expecting it. By [the early 2000s] I was kind of shocked when the numbers were the worst I had ever seen them. We had like 35 players for a $5,000 buy-in event. At the time there were like four events that you wanted to win, including the WSOP Main Event and the Hall of Fame Poker Classic. There just weren't that many to win and so poker was just in bad shape. Then in 2002, I had to leave the room because we suddenly had five or six hundred players at a $10,000 buy-in tournament. Suddenly Ben Affleck was in the room, and ABC, NBC, and FOX all had trucks in the parking lot. I walked in and they were like "Sports Illustrated needs a few minutes of your time" and I was like "NO!" I was so used to saying no to any press stuff right before a major event, but then I thought "It's Sports Illustrated, I'd better do it." So I had been expecting poker to take off back in '94, '95, '96... but what happened in 2002 and after was beyond my expectations. But I did think poker was coming. People laughed at me back in 1999 when I said poker would be played in arenas, and here we are now playing the Main Event final table in the Penn & Teller Theater. They’re not laughing anymore. Another thing I did that was well-timed was writing my book Play Poker Like the Pros around the time that the World Poker Tour started. I had been putting it together for a couple of years and I got it out at a time when I thought poker would become really big. It hit the New York Times bestseller list, so that was pretty good timing. It's interesting that early on you didn't want to do the Sports Illustrated interview and now you are a huge brand. Was it a conscious decision on your part to launch yourself as a brand? I wanted to become a brand, but... I had not looked at myself as a brand before that. But when the book hit the bestseller list it seemed to help things grow and grow. At that point, I realized I was competing for sponsors and sponsorship dollars against the World Series and the World Poker Tour, both of which are bigger than I am. It's been nice — I've done a lot of stuff corporate-wise. It was nice to have the beer can in 2009 [a sponsorship from Milwaukee's Best Light] and then there was the Carl's Jr. commercial in 2014 — that was a lot of fun! Turning toward strategy and staying competitive as the game grows and evolves, plenty of people have come and gone in the poker world. How have you had such longevity? When I look at the 1980s when I was first playing, I won the WSOP Main Event in 1989. Then it seemed like there was a whole new set of players by 1995 — with just five or six consistent guys who were still there from the '80s. Then there was a whole new set of people by 2000, then another whole new set by 2005 — so there's been a lot of churn. You still see Doyle Brunson and Johnny Chan playing great poker, and there's still some guys from the 1990s that are still around. You know Daniel Negreanu started in the '90s, and Layne Flack and a couple of guys like that are still around. [I've managed to remain because] I understand that poker is about reading people. The math is fairly simple, and although the strategies can be rather complex, if you've studied poker all your life as I have, when I hear new theories born on the Internet from the young genius players, I'm like "Okay, cool, yeah, that makes sense." It takes me five minutes to learn [these new approaches], so I can figure out very quickly what they're doing. Then, for me, it's a matter of going against the flow a little bit, but I'm also about staying consistent. On any given day I'm the guy who is capable of playing the most hands or the guy who plays the least hands at the table. It kind of depends on the mix of the table. Your 2012 WSOP Europe Main Event victory was a good example of your playing a rather loose, wild style. Was that a new style for you, or was it just that we hadn't seen that side before? At the WSOPE Main Event — where I played 48% of my hands at the final table — it looked crazy, but I felt like my reads were perfect. I knew when my opponents were weak and strong every single time, and if that’s the case, you can play, literally, every single hand. I mean playing every hand doesn’t [typically] make sense. But [if your reads are sound] you can play double or triple the number of hands you can if you are playing optimally but you don’t have a great read on people. Maybe you’re supposed play somewhere between 12-18% of hands to play optimal poker, but when you have a day when you are reading perfectly, you can step it up to 40 or 50%. I just felt like I knew what they had every hand. I ran like that for four or five days and that was nice. When you win a tournament where there was not that much luck involved — where you just win — it’s nice! I picked up about 8 million in risk-free chips and was able to win the other 4 million and that was it. How can players improve their reading abilities? Or can they? I think there’s a cap or a ceiling on what people can do as far as reading people goes. From my experience, [it can be difficult] trying to teach people different things. Even 25 years ago, poker seemed... I don’t want to say easy, but I was making a lot of money even then. When I would try to teach my friends and they were having trouble reading people, I was like “Wow, not everybody, no matter how hard they work, can reach the highest level of reading people.” So my theory is that people are capped when it comes to how well they can read others. As far as reading abilities go, you either have it or you don’t. That doesn’t mean you can’t be a great poker player [if you don’t]. There is a lot of math associated with poker and learning the finite theories to mix that up with the right moves at the right times — knowing those will take you a long way and you can make a lot of money. I just think if you want to be the greatest of the great, you’re going to have to have amazing reading abilities. 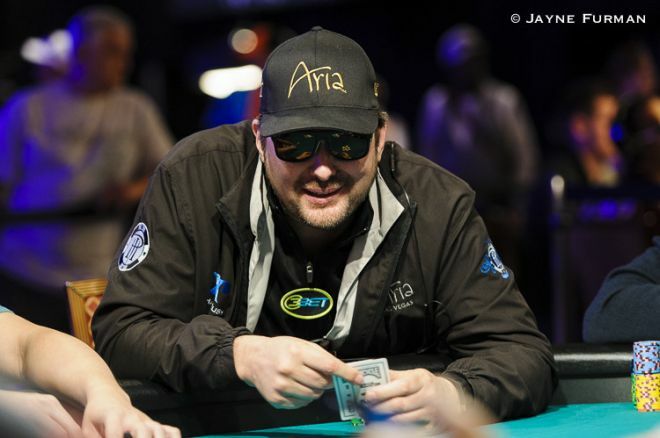 In tomorrow’s Part 2, Hellmuth discusses his contribution to Excelling at No-Limit Hold’em, the “Poker Brat” image and how his reputation as a tilter comes into play at the tables, his opinion on the new WSOP Colossus event, and his future goals.